Are you looking for Corvette facts about older Vettes? Wondering what engine blocks numbers, specifications, production numbers, colors, and options that were available? Well, the Corvette Black Book is your answer. 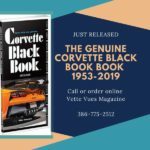 The new Corvette Black Book 1953-2019 has just been released so in this blog we thought we would take a look at the history of this pocket-sized book full of Corvette information! Have you ever wondered when the Corvette Black Book was first published? Well, I went in search to find the answer and learned that Michael Antonick, owner of Michael Bruce Associates produced his first stand-alone, pocket-size fact guide called the Corvette Black Book in September 1978. However, this was not the first book the Mike Antonick authored. Michael Bruce Associates publishes Mikes books. It is an Ohio corporation and established in 1975. 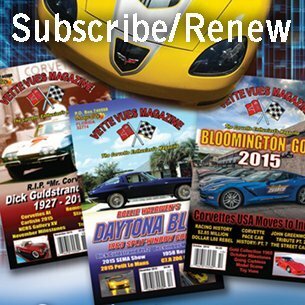 The company publishes automotive books and specializes in Corvette and Camaro books. Mike has also published titles related to general automobile detailing and photography, many are out of print and only available from a private collector. Here is a list of some of the books I found that Mike wrote: California Screamin’ The Glory Days of Corvette Road Racing, Corvette Collector Library, Corvette Driver-Owner Guide, Corvette Price Handbook (s), Corvette Restoration: State of the Art, Corvette Specs 1984-1996, Corvette! America’s Only, Corvette: Sportscar of America, Illustrated Camaro Buyers Guide, Illustrated Corvette Buyers Guide, Secrets of Auto Photography, Secrets of Corvette Detailing, and Secrets of the Showcars. Mike’s first book(s) was a series of nine hardbound Corvette books called Corvette! The Sensuous American. He published these three times a year during the years of 1976, 1977 and 1978 and sold them by subscription only. In 1983, 1984 and 1985 he came out with a second series of nine similar books. The total of eighteen Corvette! The Sensuous American books were sold to subscribers with a no-reprint guarantee to improve the likelihood of value appreciation. Mike’s first book(s) was a series of nine hardbound Corvette books called Corvette! The Sensuous American. I found that “In 1978, the company published Corvette! 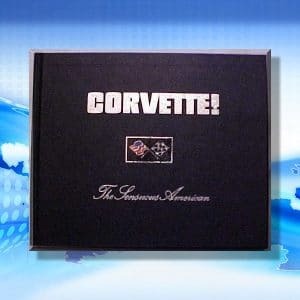 America’s Only, to celebrate the Corvette’s twenty-fifth anniversary.” The book was hardbound, had 144-pages and was available in bookstores throughout the United States and other countries. The first 7,500 copies of the standard silver-bound edition were sequentially numbered. “A deluxe edition, bound in black calfskin, was sequentially numbered and limited to 300 copies.” If you would want to add one of the deluxe editions, this will set you back about $750. The last chapter of Corvette! America’s Only was called “The Facts.” This was a year-by-year listing of Corvette information including numbers, history, options, original window-sticker prices, interior, and exterior colors, and unique features. It led to the publication, of the Corvette Black Book in September of 1978. 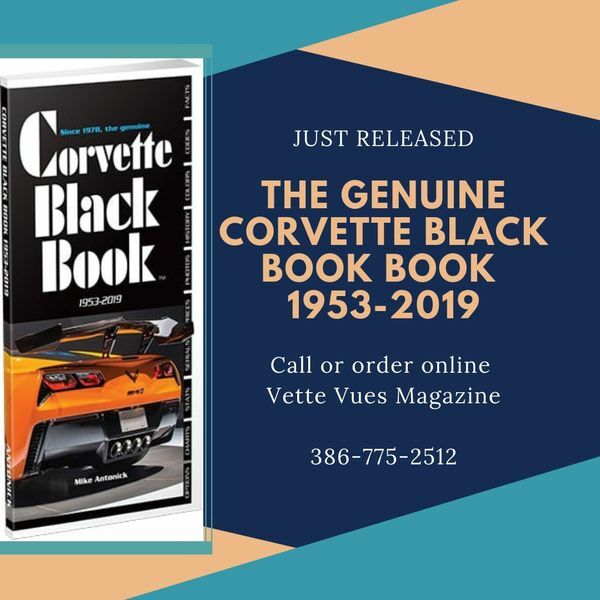 Now forty years later, Mike just released the Corvette Black Book 1953-2019 and it is now available through Vette Vues Magazine. Chevrolet ended 2018 Corvette production on January 29, 2018, and started 2019 build the same day. This drove 2018 Corvette model year production to the lowest level since 1959. The timing was rooted in Chevy’s desire for its ZR1 Corvette supercar to debut as a 2019 model. Supercar? With 755hp, it is the most powerful passenger car ever sold by GM. So, yes. This new Black Black includes 2019 intro info, plus the crazy low 2018 production numbers. Introduced in 1978 with 60 pages about 6-inches tall, the Corvette Black Book has grown to 160 pages ten inches in height. Its beauty, like the car itself, is in its evolution. These are pocket-sized marvels with thousands of Corvette facts, options and option codes, exterior and interior colors and codes, production figures, serial numbers for body, engine, and component parts, original “window sticker” prices, and a compilation of each model’s unique details. In its precise year-to-year format, the Corvette Black Book puts phenomenal expertise at your fingertips. In the Corvette Black Book, production quantities trail by one year. So, in addition to 2019 introductory info, the 2019 edition includes 2018 quantities and running production changes. It’s all part of an endless effort to maintain the Corvette Black Book’s reputation for detail and accuracy. To be clear, it is not and has never been, a guide to current values. No one’s perfect, but after four decades of attention to detail, the Corvette Black Book has become the enthusiast’s bible. Next time you visit a top quality Corvette restoration shop, see if there isn’t a you-know-what lying around. Notice which book is stuffed into enthusiasts’ pockets at Corvette events around the world. 160 pages, softbound, 4.375” x 10” vertical, 70 b/w photos, uncountable facts. 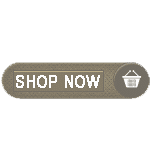 $25.00 with Free United States Shipping! Corvette Black Book Just Released! 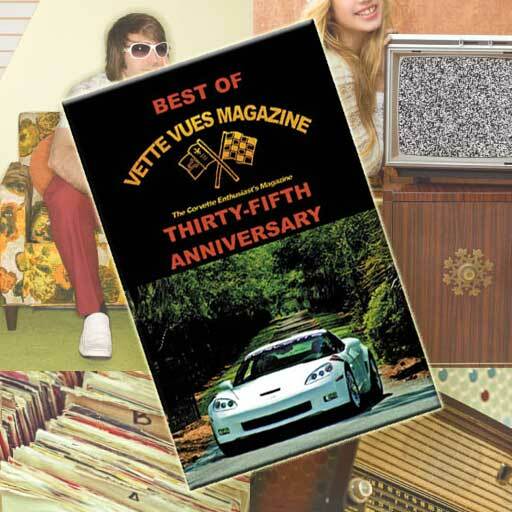 Order the Corvette Black Book 2015-2019 at Vette Vues Magazine secure store. Tags: California Screamin’ The Glory Days of Corvette Road Racing, Corvette Black Book, Corvette Collector Library, Corvette Driver-Owner Guide, Corvette Price Handbook (s), Corvette Restoration: State of the Art, Corvette Specs 1984-1996, Corvette: Sportscar of America, Corvette! America’s Only, Corvette! The Sensuous American, Illustrated Camaro Buyers Guide, Michael Antonick, Michael Bruce Associates, Secrets of Auto Photography, Secrets of Corvette Detailing, Secrets of the Showcars	.